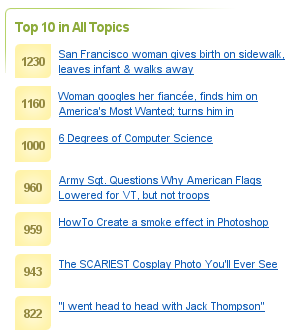 As many of you may already know a artical written by tony on the compsci.ca blog got on the front page of digg and was #3 in all topics for the day. Although this is a honor of sorts for tony, the blog and the community, it also comes along with the dreaded Digg Effect. 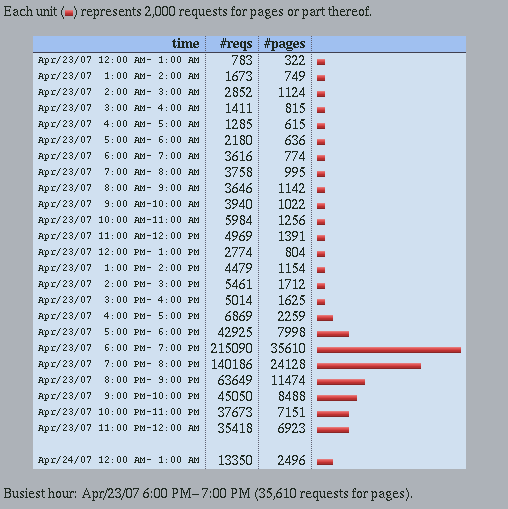 As soon as it made the front page of digg we started seeing massive amounts of traffic hitting the site. Almost 10 times of what we would get in a day in hours of making the front page. As you could guess this kind of increased traffic in such sort of a time span did not play well with the server. Almost right away we started getting some random 500 errors poping up and our site started using crazy amounts of cpu time on our hosts server, effecting all other sites on the same server including some of our own like the main compsci.ca site, dwite.org (still under construction), our wiki, and serveral other services as well as user hosted content. Once our host noticed that we where basically taking out there server, they quickly placed a bandwidth/cpu cap on our account so instended of crashing the server we would get a 503 error when we got close to a given cpu level. Once the traffic levels return to normal the cap will be removed and users will not seeing 503 errors every where. If you do get a 503 error, reshersing the page a few times will noramly get it working again. Also you may see images missing or the style sheets going on and off intill the cap is removed. P.S. To thous that have asked, we are not in any danger of ruining out of bandwidth for this month. 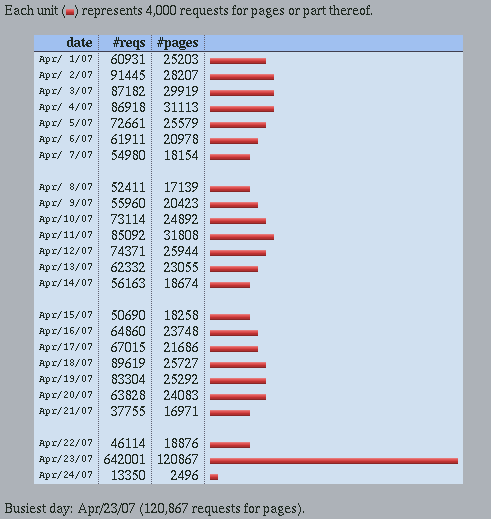 The increased traffic has had little effect on the bandwidth usage since most of the digg trafic is just going to one blog page and then going away, thus only masive amounts of cpu time are being used up. Just like DDoS attack. Do you use WP-Cache? It is supposed to cut down on CPU use. Anyway, congrats on the digg. I've tried to set wp-cache up as we began to climb the digg ranks, but it didn't work and killed off the article. It might be some weird conflict with the template, or database, or something. In short - we lived without caching (which says a lot), but I definitely need to get that working soon.